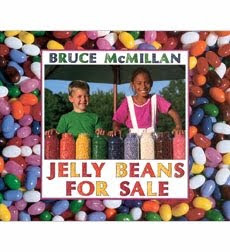 We read the book Jellybeans for Sale. Then we made our own class book about jellybeans for sale. We clipped the corners and rounded small rectangles to make jellybeans. We learned different ways to make 10 cents using coins. Students chose how they wanted to make 10 cents and stamped those coins in their hand.